If they survive, humanity is extinct. Q: What do you call a [insert religious adherent which cannot be insulted here] who owns both a sheep and a goat? Another “Cows With Guns” moment brought to you by Muzzies everywhere! This is a horrific story. To animals we are like Gods, I pray that we are treated better by our God than we treat animals. Now I’m no vegetarian, I like to eat meat... but I want the animals to be treated well, not tortured in the street. Q. 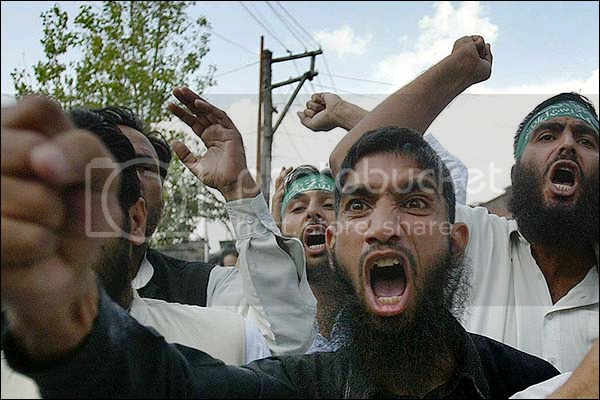 What do you call [adherent of a Religion of Peace] who owns two goats? Buried up to their necks in a cattle feedlot that is never cleaned until they are submerged. Just a bunch of damned inbred subhuman primates. They serve no useful purpose to humanity.